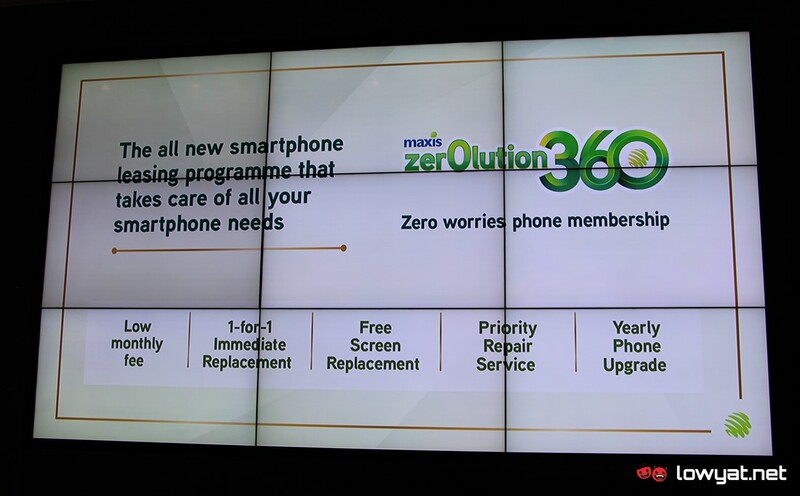 Just moments ago, Maxis has officially launched its latest offering in the form of Zerolution360. What made this particular version of Zerolution different from the existing model is that the Zerolution360 is pretty much an all-in-one plan that not only includes the usual zero upfront payment but also a whole lot more other attractions. The Basic Zerolution360 package offers 1-for-1 immediate replacement alongside device protection as well as pickup and delivery services throughout Malaysia for repaired devices. For those who prefer Premium Zerolution360 package instead which available for additional RM 10 per month, they will also receive one-time free screen replacement, priority repair service, and a backup loan phone when their devices are being serviced. On top of all those benefits, both Zerolution360 packages also includes yearly phone upgrade option. This upgrade can be done after 12 month and naturally, you have to make sure that your phone is in good condition. Additionally, there’s also upgrade fees involves although you would be eligible for free upgrade if you hold on to your device until 24 months. At the moment, devices that are available under Zerolution360 are Samsung Galaxy S9 and Galaxy S9+ as well as Huawei P20 and P20 Pro. Of course, the new Samsung Galaxy Note 9 can be obtained through the new program as well although Apple iPhones are not part of it for the time being.